This chapter introduces a working concept which a number of subsequent chapters will rely upon: Affectively-Driven Algorithmic Composition (or AAC). The reader should note that this is not related to perceptual data compression as in the Apple Lossless file format AAC. 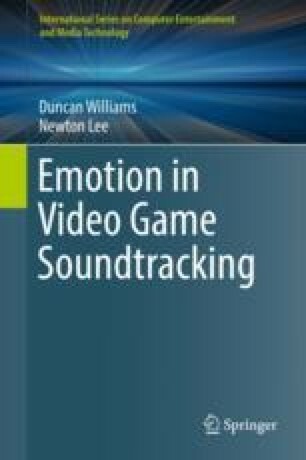 Instead it refers to a specific subset of interdisciplinary practices marrying sound design opportunities with emotional intent; a paradigm which is ideally suited to modern video game soundtracking practice. This chapter builds upon initial work reported in the ACM Computers in Entertainment journal (though in an online article, not a specific journal edition), in 2017 (Williams et al. 2017).